As a lover of sleeping under the stars, glacier sledding and skinny dipping in mountain lakes, Trevor was lucky to be born in Cascadia! Born and raised in the shadow of Talol, he attended Puesta del Sol Elementary and the International School in Bellevue before graduating with a Bachelors Degree in International Relations from Antioch University in Seattle. After living in Romania, England and Australia for the better part of a decade, he is now settling back into his hometown of Seattle. He's ecstatic to bring his PR, Marketing & Sasquatch Wrangling skills to the Cascadia Department of Bioregion. 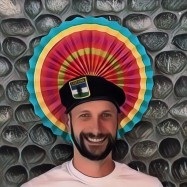 Trevor’s interests in Cascadia include advancing the use of Native Place Names for the geographic icons of our bioregion, creating community through camping and salmon restoration projects in Cascadian rivers and streams. As a lifelong polyglot he loves learning and using Chinook Wawa, and is passionate about using it as a way to raise awareness of indigenous place and sovereignty. As a founder of the Department of Bioregion, Trevor trains and mentors our diplomats, and travels to other bioregions around the world in the pursuit of building an alliance of global bioregional movements. He sits on the board of the Cascadian Association Football Federation and is a contributor at the Cascadian Underground Media Center. Cascadia and Bioregionalism represents a framework for positive change in our home and beyond. Recognizing the primacy of Mother Nature and watersheds in how we organize as humans and how we interact with the world around us will lead to greater respect, sustainability and inclusiveity. As we seek to breakdown borders and systems that are erroneous and divide us, we can create pathways towards democratic and ethical ways that celebrate and unite us all.